In my alternate life, I opened up my own tea room instead of becoming a librarian. A quirky place, where people would come for special events as well as for everyday, popping in for tea and a scone and leaving blissfully happy and relaxed. I recently got the cookbook for Alice's Tea Cup and found the place that has always lived in my imagination. 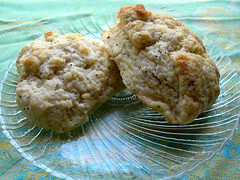 I wanted to make every recipe in the book, and started with these lemon poppyseed scones. Sometimes, it is nice that people have similar dreams, to make sure they actually come true! In true JennyBakes fashion, I waited until the day before I needed to post the challenge to try the recipe. I hemmed and hawed for a while, because I had enough hazelnuts, but also had some chocolate chips sitting around, so I ended up making what another Daring Baker's five year old has deemed "choklava," using a generous helping of chocolate chips in with the nut mixture. I have made Danish pastry before, puff pastry (once, never again), croissants, and even strudel, but never had I attempted making phyllo dough before. I mean... the store makes it so easy, I can just buy a box and whip up practically anything! But I faced this challenge head on. I'm not afraid of tearing delicate dough. I don't mind spending two hours rolling out golf-ball-sized balls into paper thin dough sheets. No really, I don't. And really, that was time consuming but not terrible. 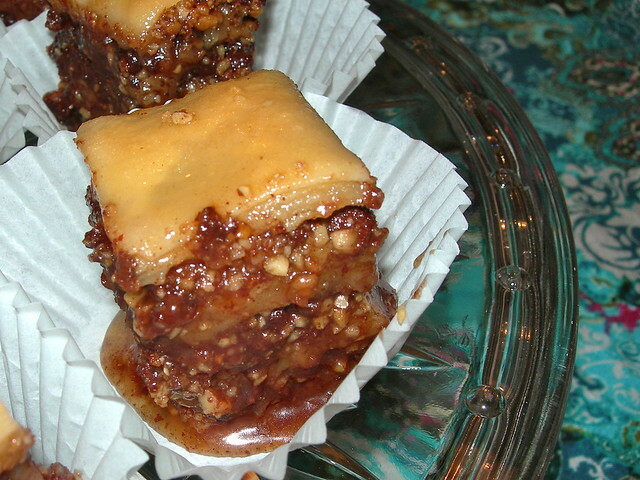 Several other Daring Bakers had said the recipe had too much syrup, and I wish I'd listened, because my end result was a bit too gooey and syrup for my tastes, and oh so sweet! I partly blame the chocolate, maybe it hampers moisture absorption a bit. It is still satisfying to pour the syrup over the pastries right out of the oven and listen to the sizzle and bubble. Twelve hours later, though, they were still wading in the goo. I still gave them to people. If there is a lesson over and over, it is to trust my instincts! A few changes I made in the recipe, which you can see on Erica's blog once she posts, was to fiddle a bit with the spices - I added cardamom and used more orange than was called for, and the entire house smelled like the holidays! I think if I made phyllo again, I would use my old lowfat use nonstick cooking spray between the sheets trick, and make something savory with it. The Cakehead Bakeshop is a newer bakery in the Upstate, located inside the same building as the Little River Coffee Bar, right next to my favorite new bookshop, Hub City Bookshop. So you might as well plan to spend the morning or afternoon in these three places! 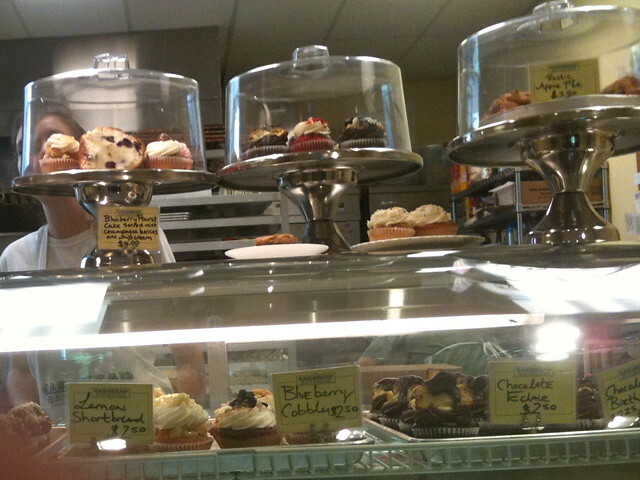 The baked goods at Cakehead Bakeshop are described on their website as "rustic," but don't let that word scare you. They sell old-fashioned cakes that you can order whole or buy by the slice, pies, cookies, scones, and biscuits; there was even a tomato pie on the counter the day I stopped in. But the cupcakes are far from rustic - each type is unique and topped with something fun, but more than that - they are delicious. So many places that make cupcakes focus on look and give you something dry, crumbly, or greasy, but these were perfect - moist, flavorful, and perfectly (but not too) sweet. If you want their breakfast fare, which is sold out in the coffee shop, come early! I was there at 10 am and all the scones were gone for the day. This seems like a relatively small operation with great potential, and I hope they find success in Spartanburg! Fruit that is ripening too quickly or just on the brink can be turned into fruit soup! 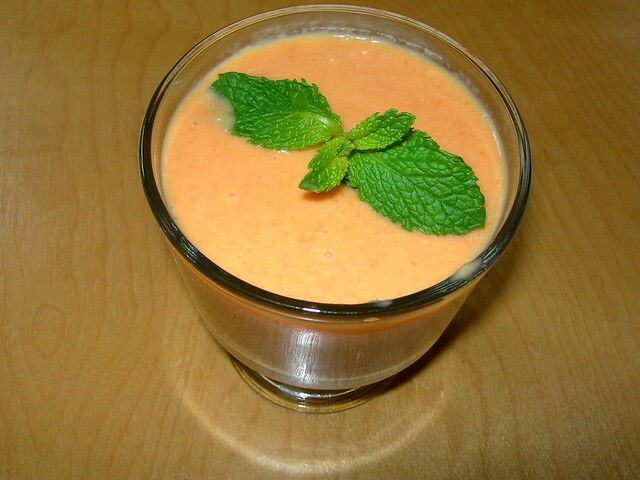 This is just four peaches whizzed together with a bit of fresh ginger, orange juice, lemon juice, and a splash of cream. I'd rather just eat the fresh peaches, after all the work it takes to blanch and peel them! But fruit soup is a lovely dessert in hot weather for a light meal. Last weekend we bought peaches from Strawberry Hill USA, an early clingstone variety called Junegold. I would like to go back later on in the season for freestone peaches which are much easier to deal with! 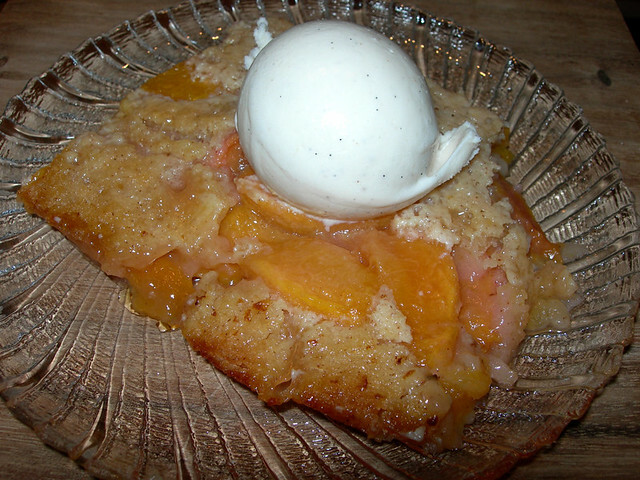 I knew I wanted to make peach cobbler but hadn't been 100% happy with the recipes I'd tried in the past. I started to see a funny trend of "Georgia style" cobblers, something I'd never heard of. It started with a Paula Deen recipe, but was a technique I saw repeated. I gave in and used the recipe at Vintage Victuals. 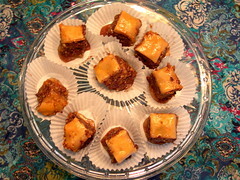 The basic technique is melting butter in a pan, pouring the batter in, topping it with the fruit, and as it bakes the batter bakes up around the fruit. (This reminds me of clafouti, actually, but the ingredients are different). I made a happy mistake of leaving the butter melting in the oven too long, and it was all brown and nutty when I poured the batter in, but decided to keep it, and was a delicious contrast to the sun-ripened peaches! As a baker, I'm often feeling like I never spend enough time making food for actual meals, just tasty treats for breakfast and dessert! 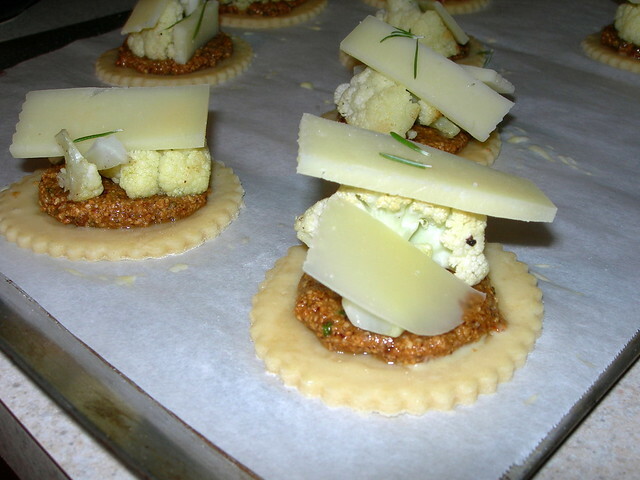 The fiftieth time I flipped through Martha Stewart's Pies & Tarts, I really honed in on this recipe for roasted cauliflower hand pies. For one thing, it was vegetarian, which is a must in our household. For another, it called for manchego, my favorite cheese, and sounded somewhat Spanish in flavor. The crust has manchego in it, and it is also used inside the pies, which also have a hazelnut paste (roasted nuts, garlic, lemon, rosemary, olive oil), roasted cauliflower, and manchego. These are RICH but delicious, and so vibrant in flavor. They would be really nice offered with something more acidic, maybe as part of a tapas meal. I knew I froze batches of rhubarb for a reason. I've had Martha Stewart's New Pies & Tarts: 150 Recipes for Old-Fashioned and Modern Favorites sitting around for a bit, but it was for a funny reason. Every time I picked it up and looked through it, every single thing sounded good, and I couldn't decide what to make. That is so rare for me in a cookbook! But the pictures are vibrant, including a great how-to section in the back (which I utilized for my lattice work you see above, and it almost belongs more on the coffee table than in the kitchen. Almost. 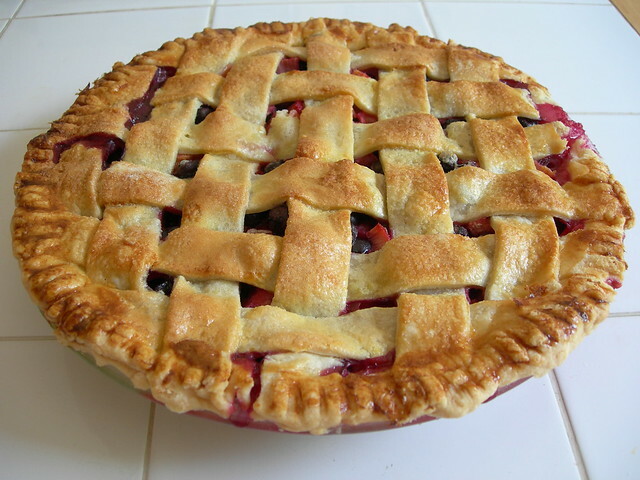 I didn't want to make the rhubarb crumb pie, because I wanted to make something bluebarb, not knowing what that flavor combination would be like. So when I lacked the 7 cups of blueberries, but had 3, I took it as a sign to pull the rhubarb out of the freezer. What you see above is basically the exact recipe for the blueberry pie with half rhubarb. After tasting it, I should have compensated for the tartness of the rhubarb by adding a bit more sugar, but the colors in the pie are so beautiful, and it just tastes like summer and spring, all in one pie. I've had the cookbook BabyCakes Covers the Classics on my kitchen table, begging to be experimented with, for over a month now. I did half-heartedly make a modified version of gingerbread pancakes, which were delicious, but it took a while to commit to buying all the required ingredients. Because vegan and gluten-free baking is expensive, y'all! No joke. I planned to make two recipes that use the same basic dough, and I had to buy gluten-free baking flour, arrowroot, xantham gum, brown rice flour, and agave nectar. Some of these ingredients I will use anyway, but unless I do more gluten-free experimenting, I'm not sure where the rest will go. The other part of gluten-free baking that I'm torn on is that I feel a little witchy stirring ingredients together that are so foreign to me. (I never saw eye of newt, though). Okay, okay, I'll do some more experimenting. 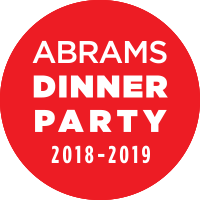 This cookbook is vibrant and has some creative groupings that make you want to bake despite the ingredient limitations you might have. 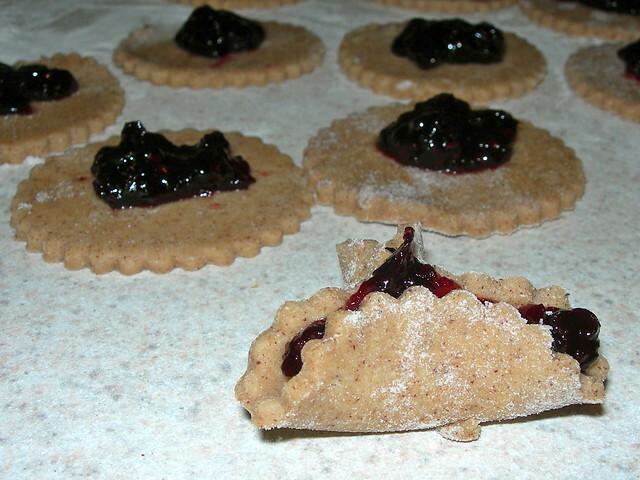 The other recipe I picked to try was Hamentaschen from the "From the Old Country" section. It told me to use the basic pastry dough recipe from page 32, but as that had cinnamon in it, my dough was a lot darker than what was shown in the picture. In the end, my cookies unfolded while baking, but I am very willing to blame that on my inexperience with working with gluten-free dough! So, how did everything taste? I've done vegan experiments with pretty good success, but gluten-free baking is another animal entirely. I'd say that you should expect everything to be denser, more hearty because of the mixed sources for the flours, and to be somewhat temperamental. But if you are required to eat a gluten-free diet, this book and the other BabyCakes cookbook are probably a good place to start. They seem to have done a great job at covering the things you would really crave - including an entire chapter on donuts! Gluten-free donuts, is that even possible? Try it and see. I was pretty sure I had already blogged these Cocoa Brownies from Smitten Kitchen, but apparently not. I don't know, maybe I was thinking I am always posting about my experiments with her recipes and felt silly doing another one. I'm not sure! Then I went on vacation, blah blah blah. Seriously, everyone knows that I'm a huge Dorie Greenspan fan (made her blueberry crumb cake again this weekend, so delicious), but I seriously think Deb from Smitten Kitchen could easily influence all of us as much. 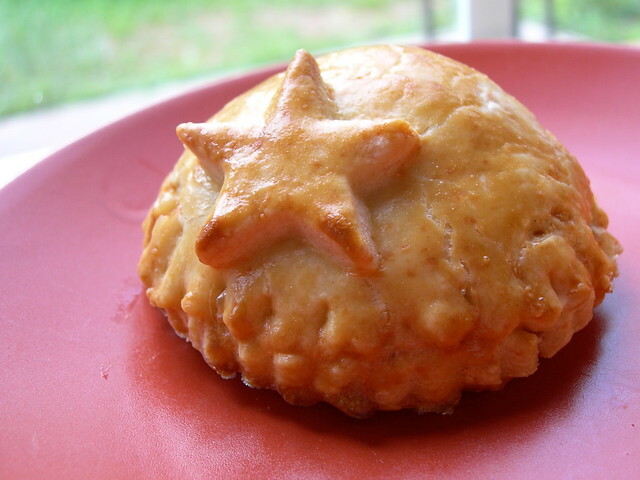 Her blog just makes you want to cook and bake and eat! My local grocery store, which I prefer first because it is closest to my home but second because everyone who works there is friendly and efficient, seems to only be stocking Special Dark cocoa powder these days. I really must speak to them about this, because while it would be nice as an option, it is not "normal" cocoa powder! I had a little deja vu while making this recipe, since the last time I made a cocoa brownie recipe was when I was experimenting with black cocoa powder. 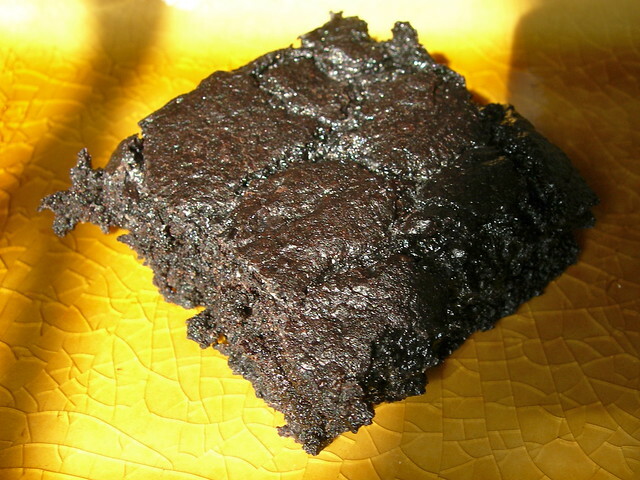 That time, I was using Alton Brown's cocoa brownie recipe. Both are great, but they are really different. 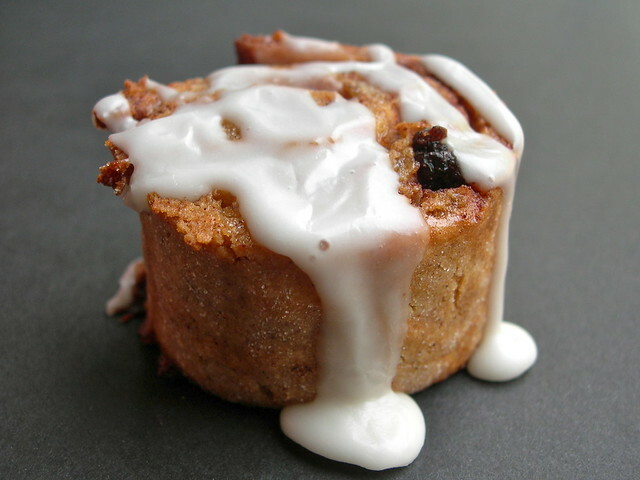 Alton's is cakey, and depends on a long beating of eggs at the beginning of the recipe. Deb's only uses two eggs, and very little flour, and I'm not sure they even fully set up until I'd put them in the fridge for a few hours. We just kept them there, because they were so delicious cold, besides being fudgy chewy deliciousness.